The Deutsche Bank of Germany announced it will not lend money to the Indian mining firm Adani Group to finance the development of Abbot Point Terminal I. The decision came after an AGM held on Thrusday. Adani is one of the last remaining investors standing for the port terminal, along with another Indian firm, GVK Group. Other investors have long abandoned their stakes, including mining giants Rio Tinto, BHP Billiton, Lend Lease and Anglo American. 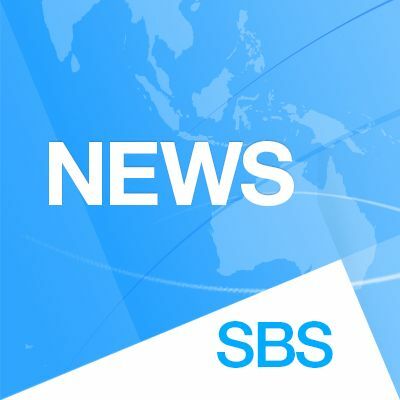 Market and financial analysts said the multi-billion dollar investment is unfeasible due to the end of the mining boom, with the downward spiraling of coal market prices worldwide. Galilee Basin in northern Queensland, where coal will be extracted,is also extremely remote and without basic infrastructure. Australian mining goddess Gina Rinehart, herself, sold most of her coal assets in 2011. GVK bought them. But despite Indian interests, the project has been stalled for two years. Adani is required to complete all environmental approvals and then raise AU $8 billion of additional debt and equity financing, and hence allow construction to commence on the Carmichael coal, rail and port proposal. Read the scale and magnitude of funding HERE. There are speculations that the two companies tried to sell their equity holdings. GVK allegedly offered Coal India Ltd, but was rebuffed due to its uncommercial value. Adani is also rumoured to have approached several Chinese firms, including China Railway Corp. Early this month, the Institute for Energy Economics and Financial Analysis (IEEFA) warned investors it is too risky to invest in the project. Local banks which were appointed to finance the project include National Australia Bank, Commonwealth Bank, and Westpac Banking Corp- on top of a few other international banks. India’s perilous economic and financial situation creates further uncertainty for companies relying on its ability and willingness to import coal, with its associated implications for inflation, current account deficits, economic instability and energy security’. He also said that “imported coal would require double the current price of India’s wholesale electricity, which categorically discredits the nonsense argument that it might alleviate India’s energy poverty.” Buckley has produced detailed reports on Adani and GVK. Various environmental and civic groups have written the Deutsche Bank not to lend Adani. Australian-base civic groups also linked with their European counterparts to “pressure” the bank. Some travel operators in Queensland further travelled to Germany to join the rally. 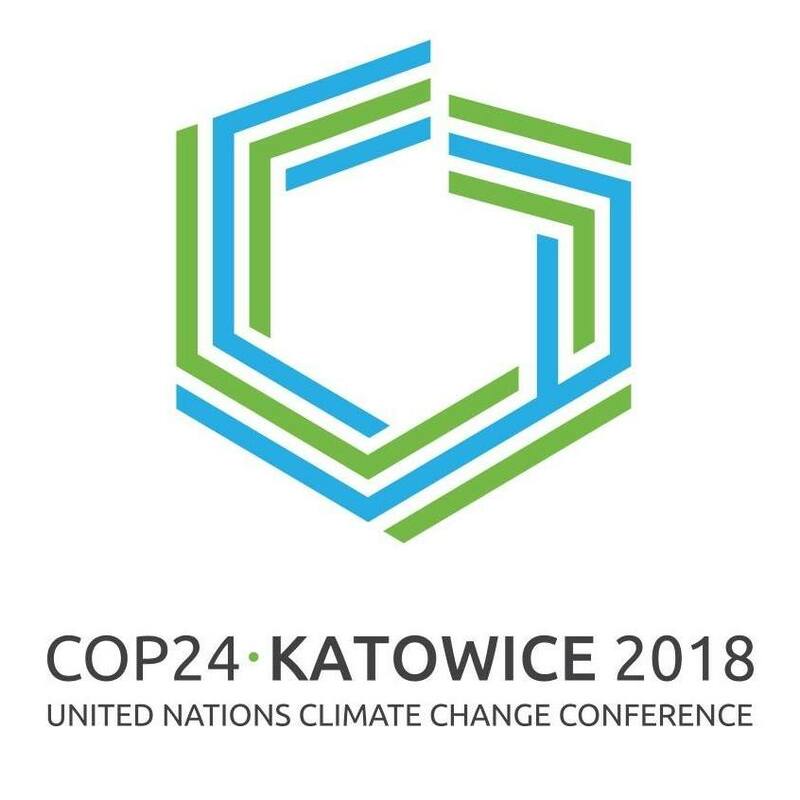 At the end of the AGM on Thrusday, the bank released the Deutsche Bank’s Environmental and Social Reputational Risk Framework (ES Framework), which stipulates the bank’s environmental and social due diligence as an integral part of the approval process for doing business. One of the specific guidelines recently adopted addresses activities in the close proximity to World Heritage Sites. It precludes transactions within or in close proximity to World Heritage Site unless there is a prior consensus between the relevant Government and UNESCO that such operations will not adversely affect the Outstanding Universal Value of the Site. This implies that we would not consider a request to finance an expansion unless we had the assurance of both the government and UNESCO that it would not adversely affect the Value of the Site. Australia has gone through a long weekend over Easter period and business has just resumed today. Nonetheless, the past days had not been completely quiet. Issues on the rights of asylum seekers rage on while civic activism continues. In NSW, residents fear about gas fracking and contamination while in Queensland, conservation groups rally against massive industrialization along the Great Barrier Reef. Tasmania Wilderness remains under threat as the Tony Abbott Government changed its mind about protecting the world heritage forested areas. There is a ray of hope in Western Australia as a result of the recently held election. However, the fight to protect the rights of sharks from culling is expected to go on. Whales in the Southern Ocean, meanwhile, can enjoy a peaceful and safe interlude while the Japanese harpoons had lost their case in the international court. They are back home pondering what to do next and it is possible they will come back to pursue their “scientific research”. I will resume my writing soon. 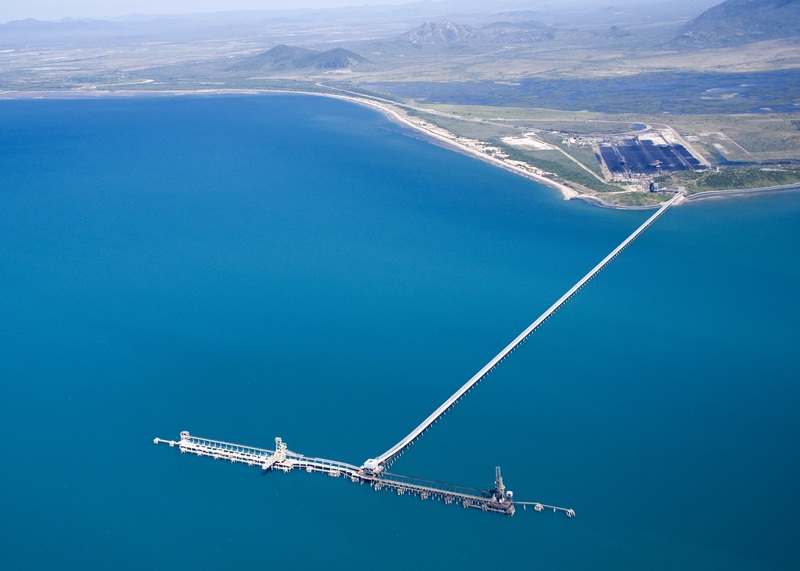 Indian mining groups – Adani and GVK-Hancock – have not waivered to drop their stakes in the controversial Abbot Point Port terminals in Northern Queensland. The rest had already dropped the deal, including BHP Billiton and Rio Tinto. Anglo American is the latest to announce it is walking away. BHP Billiton has formally withdrawn from the $5 billion worth of project as the preferred developer of Terminal 2 in 2012. It also pulled out of building a rail line linking the port with Bowen Basin mines. Early on, doubt has been cast over the feasibility of the project. The recent decision by Anglo American re-affirms the unfeasibility of the project. The firm announced that oversupply of coal in the world market has dampen prices. Mining Australia notes the expansion would see four terminals costing $6.2 billion which would provide an extra annual capacity of 120 million tonnes. this would also support the development of mines in the Bowen, Surat, and Galilee Basins. Adani and GVK Hancock, however, are all out to develop Terminal 0 and Terminal 3, respectively. Josh Euler, manager for corporate affairs at GVK Hancock, welcomes the decision to go ahead with the expansion. He said in a press statement , “This is a significant milestone in developing our Galilee Basin coal projects, which represent the creation of over 20,000 direct and indirect jobs and over $40 billion in taxes and royalties.” . The Australian public has been outraged with the approval. Last year, the United Nations downgraded the world heritage site into the endangered list. GBRMPA expedited a crisis communication in an attempt to ‘enlighten’ and ‘pacify’ the public.. Its chairman, Russell Reichelt, has written an article at the academic online paper –The Conversation – to justify the approval. He said the decision is based on comprehensive study and sound judgment that will not do any lasting harm to the heritage site. Discussion has been open to the public since March 3. Reichelt answers the queries himself although readers– composed of engineers, scientists, researchers, and ordinary citizens — are neither convinced nor impressed with the attempt to “gloss over” the real issue. Observers said, there is something fishy at the sudden turn around of decision considering the warnings over sediments dumping. Greenpeace also found a document that questions the integrity of the decision. 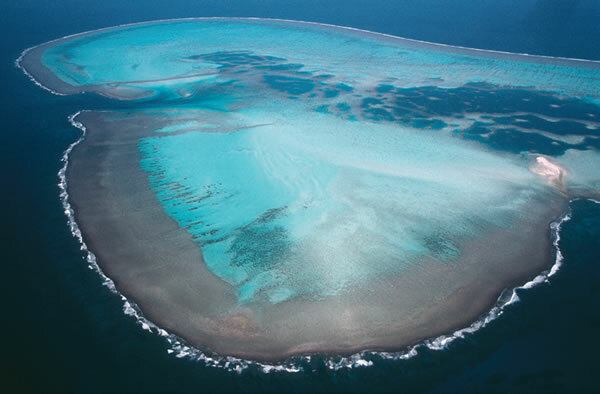 It shows that GBRMPA feared the dumping would annihilate the barrier reef. However, the Environment Department ignored the warnings and pressured the marine park authority. Furious tour operators and Greenpeace are pointing fingers at the Indian mining tycoons as the culprit of an impending catastrophic disaster awaiting the vast expanse of corals. Association of Marine Park Tour Operators President Colin McKenzie, the peak industry lobby group covering tourism in the World Heritage-listed reef region, accused the marine park authority of pandering to politicians and for allowing Adani group to undertake a risky business. “The biggest culprit is Adani, an Indian corporation that wants to build Australia’s biggest coal mine in the Galilee Basin in central Queensland, and needs the dredging to allow huge coal ships to access their proposed new coal terminal at Abbot Point to send their coal overseas,” Greenpeace said. A 72 year-old grandmother ended her 1,200 km-walk from Cairns to Gladstone in Queensland on Thursday last week to remind Australian voters to think about the Great Barrier Reef. June Norman completes her 1,200 km walk to Save the Reef. June Norman is the hero of the day for having just completed her 80-day journey. She took the Reef Walk 2013 from her hometown Cairns to raise awareness of the impacts of coal seam gas (CSG) exploration projects and the LNG export industries to the Great Barrier Reef. She arrived in Gladstone with a parade of colourful banners. She hopes that people will think about the election and choose candidates who care about the reef. She said voters should not pick the same old political party, but find out if their policies include the reef. The federal election has been set on Sept. 7. Climate change and rapid industrialisation are putting the Great Barrier Reef under enormous pressure. With the growing commitment to coal export markets and CSG industry, new major coal ports are underway. From Gladstone and the Fitzroy Delta to Abbot Point near Mackay require millions of tonnes of sea bed dredging that is impacting turtles, dugong, and dolphins. The Friends of the Earth, in a joint statement with Norman said the cumulative impacts of LNG and coal projects to the reef have not been considered or quantified. 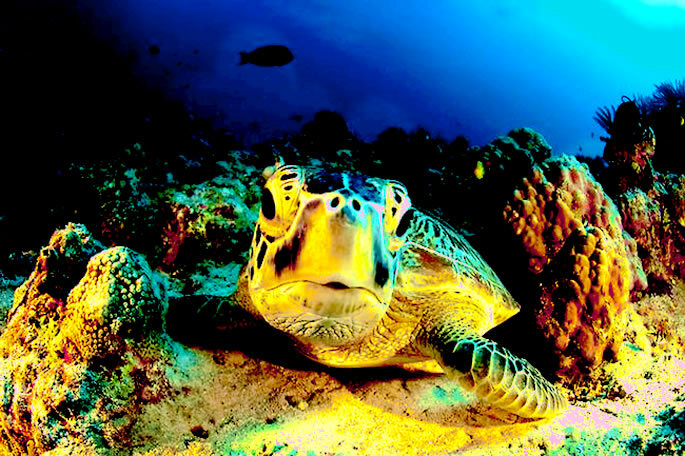 The pace of industrialisation is so rapid that marine turtles could disappear before their life cycle is understood. Investigations are rapidly under way to protect Gladstone’s Fitzroy Delta Subfin Dolphin before port development begins. Reef Walk is a message that conveys the hopes of many Australians wanting big steps to be taken to protect the Great Barrier Reef. The reef is home to countless marine species and the work place of thousands of Queenslanders supporting the tourism sector. The Greens said neither of the old parties have ever refused a coal or gas mining proposal yet but the Greens will continue to do everything in its power to stop the approval of the Abbot Point coal port expansion and save the Great Barrier Reef from becoming a dredging dump ground and shipping super highway for the big mining companies. June Norman with her Reef Walk 2013 crew. “Only the Greens can be trusted to stand up to the big mining companies to protect the Great Barrier Reef, with our policy of no new Reef dredging or dumping,” Senator Larissa Waters said in a party statement. 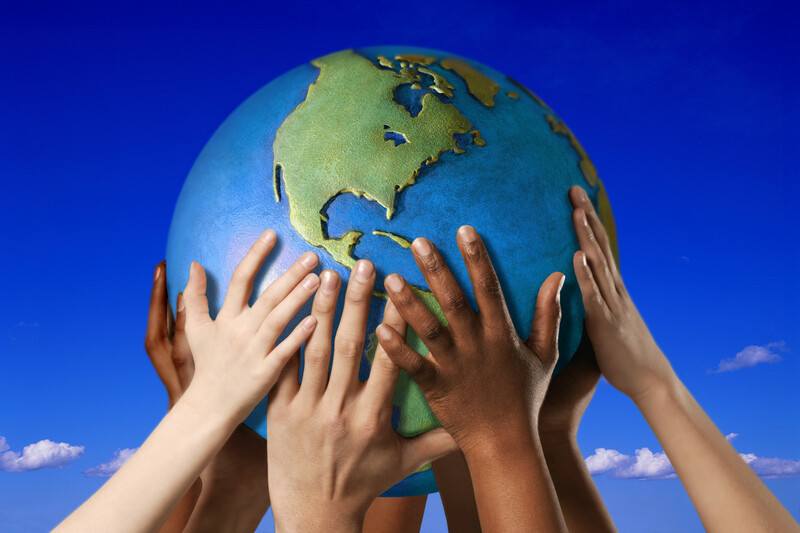 The United States joins countries around the world today in commemorating Earth Day. Ever since I was involved in the first Earth Day in Massachusetts, way back in 1970, this has always been a day to reflect on our environmental challenges and our responsibility to safeguard our God-given natural resources on a fragile planet we share with the rest of humanity and which we must protect for future generations. The day passed without notice. Even the mailboxes have not got anything in regard to an event observing Earth Day. Has Australia dropped this event from its calendar? Or has it been easier to organise an Earth Hour (23 March) which it joined several weeks ago? It’s Earth Day , though you could be forgiven if you missed it. The annual event doesn’t quite have the same energy as it once did—especially not compared to the first Earth Day 23 years ago. Yes, Green groups are caught up in dealing with more pressing issues – forestry agreement in Tasmania, saving the Great Barrier Reef from fracking and drilling, dirty coal, alternative energy source, overfishing, etc. Meanwhile, the shelving of Woodside’s LNG in Broome gives a major relief to many residents and communities in WA although businesses are quite disappointed. WordPress and National Geographic sent the reminders just today– April 22 is Earth Day! This might be a good news for Santos, Chevron, Woodside, Shell, BHP Billiton, ExxonMobil, Origin, Ta Ann—name it—and all those other giants engaged in the business of “exploiting” Australia’s natural resources. They will have more freedom to dig and rig, build dams, or haul native logs—if the power to enforce environmental laws will be transferred from the Federal Government to the State Government. The Council of Australian Governments earlier this year agreed to reform controversial environmental laws. It proposes changes that would give states autonomy to take control over local environmental laws. 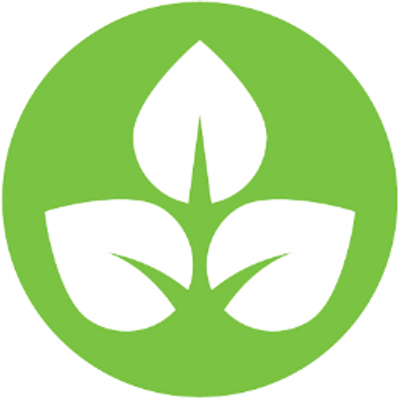 The Environment Protection and Biodiversity Conservation Act 1999 (EPBC Act) administered by the Department of the Environment, Water, Heritage and the Arts covers the assessment and approval process of national environmental and cultural concerns. It also administers specific Acts that oversee activities relating to marine resources, importing, heritage issues, hazardous waste, and fuel quality. State and territory environment laws apply to specific business activities and are administered by both state and local governments in the form of licences and permits. The plan to hand over control of national environmental powers to state and territory governments has outraged the Greens. Last month, an alliance of more than 35 environmental organisations sent more than 10,000 petition signatures to Environment Minister Tony Burke to oppose the proposals. The Wilderness Society of Australia warned that without Federal powers to override the states, places of high conservation values would be exposed to exploitation. This is the case of the Great Barrier Reef, the Franklin River, the Daintree Rainforest and Fraser Island, for example. If left to the State Government, they would have been destroyed, the group said. The Australian Conservation Foundation (ACF) notes that in the past, under the national environment law, the Federal Government has been able to save the Great Barrier Reef from State Government plans to allow oil rigs. However, the reef is still at risk from climate change, catchment run-off, coastal developments and shipping. Recent reports show it has lost 50 per cent of its coral cover since 1985. Lonergan Research poll in November said the vast majority of Australians, about 85 per cent, believe the Federal Government should be able to block or make changes to major projects that could damage the environment. Last week, the plan sounded to have been resolved. The Wilderness Society thought it could sit back and relax—at least for now. In a press release dated 7 December, the Society said the Federal Government has saved business and environmental organisations from a legislative and litigation nightmare by not handing over environmental approval powers to the states. Now is the time to put in place a robust system that guarantees the highest level protection of areas of national and international significance and for the Federal Government to continue to be the guardians of those values. Greenpeace flashes a banner to support a UN team dispatched to assess the Great Barrier Reef in early 2012. You can bet big business will be pushing these changes, which would make it easier for developers and miners to irreparably damage reefs, wetlands and heritage areas by taking away the national layer of scrutiny and review. So the fight to pressure politicians not to allow businesses to exploit the environment is expected to go on until the Government will “dump this reckless idea for good, “ the ACF said. It does not happen quite often for the greenies to celebrate. But today, there is reason for euphoria and optimism as the Federal Government breaks the news of making Australia’s vast stretch of seas and oceans as a national reserve. Environment Minister Tony Burke said more than 2.3 million square kilometres of ocean environment will be declared as a national marine reserve networks– a historic win since the plan was incubated a decade ago. This plan will position Australian waters to be the world’s largest marine sanctuary. The World Wildlife Foundation (WWF), a leading environmental advocacy group, likewise, said people’s power made this development possible with 450,000 made submissions to Minister Burke. “We look forward to the Government bedding down final management arrangements for the new marine parks as soon as possible, so that all Australians can begin to enjoy the benefits that marine protection will deliver now and into the future,” WFF Marine Campaigner Jenita Enevoldsen said. A June poll showed that 70 per cent of Australians supported the government’s marine reserves plan ‑ the most decision the government has made. This project started in early 2000’s under a series of comprehensive community consultations, deliberations and science-based region planning. “These final lines on maps around our sea country cover and protect a wide range of important habitats including coral reefs, seagrass beds, sponge gardens and hundreds of threatened species of whales, sharks, dolphins, turtles, sea lions and sea dragons,” Enevoldsen said. Australia’s oceans is the home to many of the world’s endangered marine animals including the Green Turtle, the Blue Whale, the Southern Right Whale, the Australian Sea Lion and the whale shark. While it is a big win for conservationists, the marine sanctuary means commerical and industrial activities around the area will be limited, including recreation, commercial fishing, and gas exploration ventures. 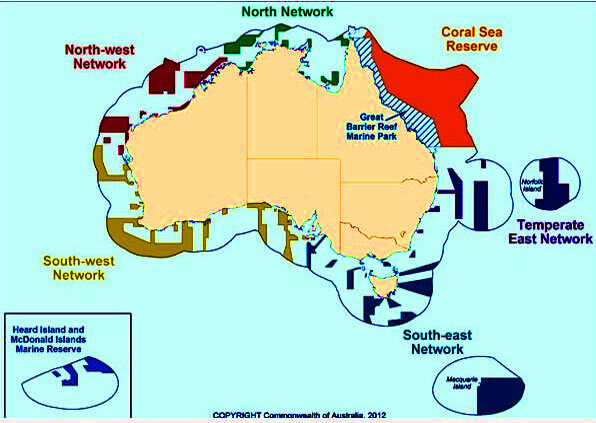 New marine reserves have been proclaimed in five of Australia’s six large marine regions. The reserves in the South-east region were proclaimed in 2007.